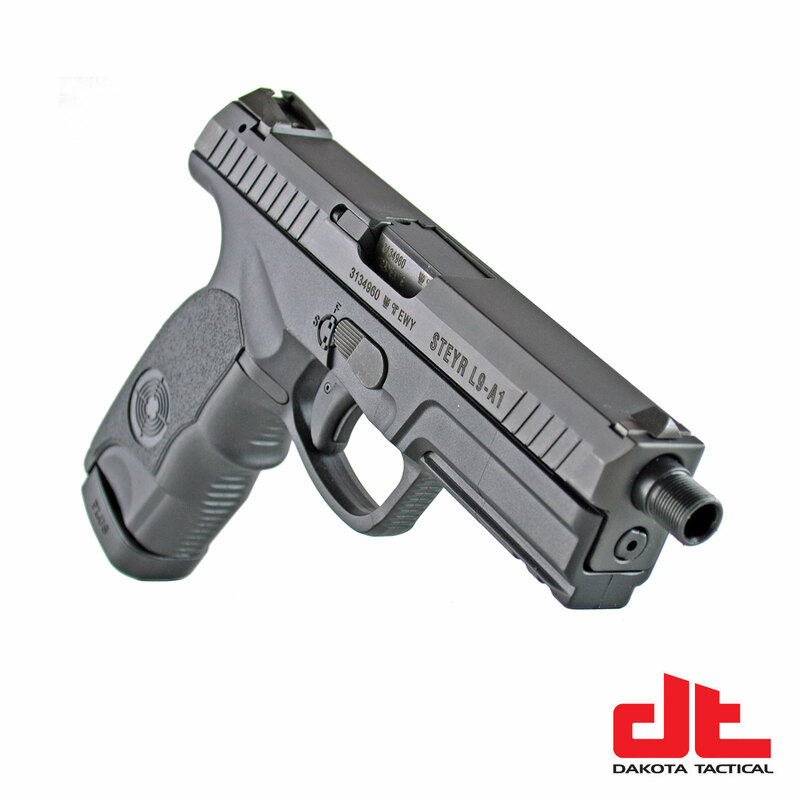 The Steyr L9-A1 striker-fired pistol is a full-sized, semi-automatic, double-action handgun chambered in 9x19mm Parabellum with a magazine capacity of 17 rounds. 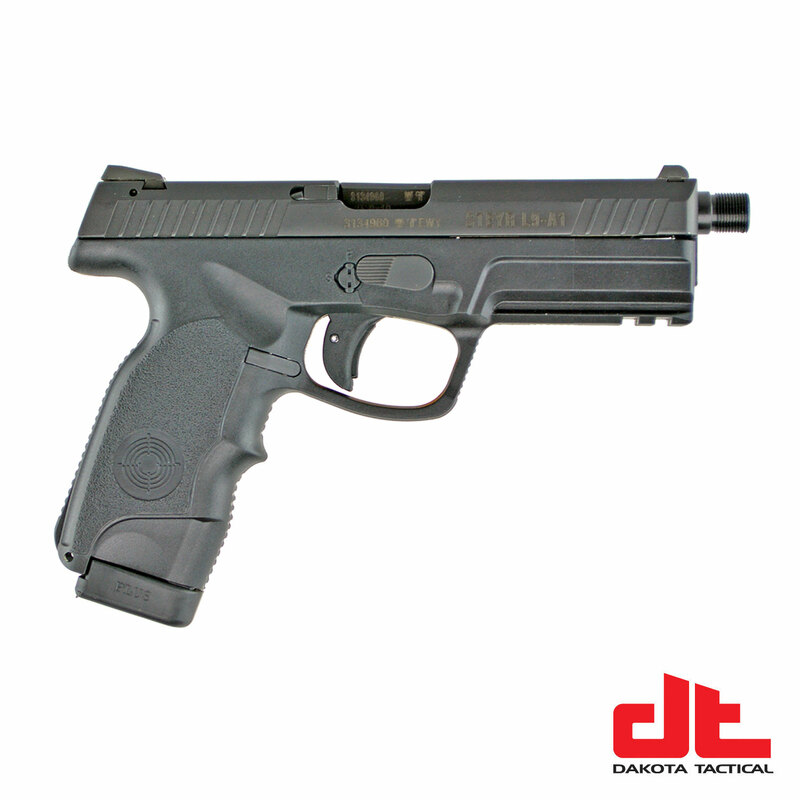 With a barrel length of 4.5” (114mm), the L9-A1 is the largest of the Steyr pistol line and offers maximum accuracy ideal for duty use, home defense and sport or competitive shooting. The 1/2 x 28 RH threaded muzzle gives you versatility to attach a vast array of suppressors, muzzle brakes or other devices. A full-length integrated Picatinny rail allows for mounting of nearly any standard light and/or laser and two recoil groves in the rail provides adjustment for whatever accessory is installed on the firearm. The slide of the Steyr L9-A1 also features slide-racking grooves at both the rear and front of the slide. As with each model in the Steyr A1 family, the pistol features a low bore-axis which minimizes recoil and improves control. The lower frame of the gun offers a standard slide-lock thumb tab, right-handed magazine ejection button and pivoting break-down lever. A key-operated manual safety feature is located next to the break-down lever and 2 keys are provided with each pistol. Dimensions: L 7.4 in. x H 5.35 in. x W 1.2 in.